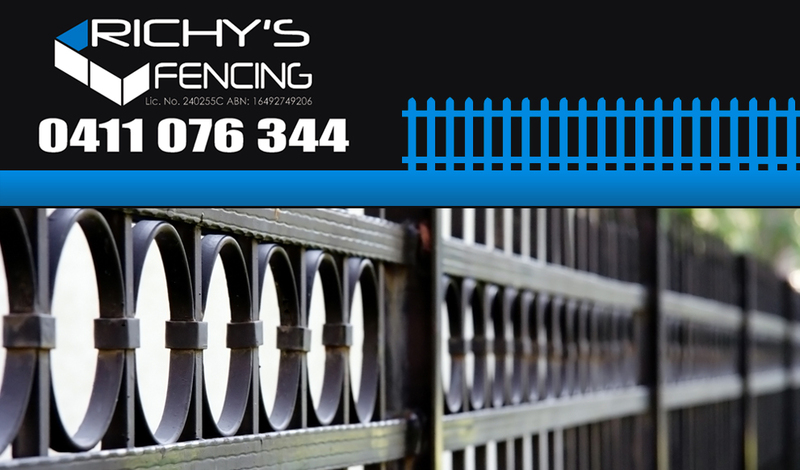 Order Australian owned and produced fencing with Richy’s Fencing, a leading provider of fencing in the Canterbury area. We deal in a wide variety of fencing material, including aluminium, colourbond, gates and timber. With over ten years experience in fencing, we are fully insured and licensed, keeping up to date with the latest in legislation. We pride ourselves on honest, reliable business performance, as we have a wide range of experience in the fencing industry. As a proactive business, we look for problems in terrain and structures and work around them. We cover a large service location area covering most of Canterbury and the western Sydney area. We understand how important it is to be flexible to all business schedules and always aim to prevent clashes with your work. Whether you need a completely new fence or maintaining your old, we’re the right people for the job. All our quotes are done online so you can get a feel for our reasonable pricing model. With a fast turnaround and quote system, we know you won’t be disappointed with our attention to detail. Everything is upfront, reliable and honest, so that you know precisely what you’re paying for. With a mindset that we are honoured to do business with the customer, you’ll find our business aspect charming and our talented team a delight to do business with. With a solid philosophy of customer service, quality fencing and becoming a savvy handyman business, Richy’s is a leading choice in the Canterbury fencing market. Contact us today for a free quote.